Gain exposure to the commodity, hard asset and counter-cyclical assets in your portfolio. 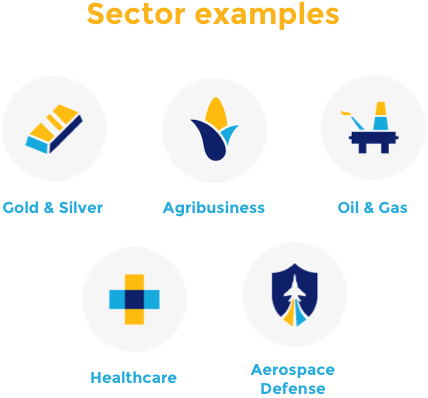 Using an investment process that focuses on dynamic asset rotation, professional security selection and periodic reallocations, The Sector Selector offers a professionally managed portfolio of exchange traded funds (ETFs)* investing in the commodity, hard asset and defensive cyclical markets. * Although The Sector Selector currently utilizes primarily ETFs to implement its strategy, there is no guarantee that this will continue to be the primary investment vehicle in the future and other securities may be used to implement the strategy.